If you cringe at the thought of going for a run in the morning or hitting the gym during your free time, don’t worry because you’re most probably not alone. 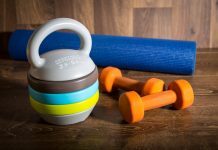 Despite our acknowledgement to the fact that exercise is great for our bodies and overall health, we can’t just bring ourselves to warm up to it because it requires our efforts, time, strength, and more efforts. It’s hard work we’re not ready to commit into because we think there are other things that require more of our time and priority. The truth is we don’t need to spend much time exercising. As briefly as 30 minutes daily can do; if we’re accepting as other fitness enthusiasts out there, 30 minutes is nothing if you spend it on sustaining your health. What other things can be more important than your health, right? Eliminate your process of thinking whether to exercise or not. If you have free time, don’t think about it. Just do it. You’ll feel better afterwards about it anyway. The more you incorporate exercising into your lifestyle, the greater chance it’ll become a habit, which makes it easier for you to get up and get moving. Going to the gym with a friend sets the tone for a fun workout. If your friend is someone who’s devoted to fitness and overall health, you’ll also have someone to encourage you when your motivation isn’t enough to lift your physical and mental will to exercise. If you’re just starting, you need to create challenge in your goals that won’t overwhelm you. If you set highly challenging objectives, it results with you not knowing what to do and how to do it that you end up leaving the gym or just quitting. Don’t allow yourself to feel burdened by exercise because that will end up with you hating it. On the other hand, if you set activities that aren’t challenging at all, you end up getting bored, which also results to you quitting. Set your fitness goals by beating your previous track records in any activities or workouts you engage yourself with. This may be the distance you’ve ran, push-ups you’ve done, or weights you’ve lifted. Whatever you’ve accomplished, you have to work harder to surpass your prior accomplishments. This is a great way to challenge yourself and have fun at the same time. When you’re worried about what other people in the gym might think about your body, you’re not able to give it your best because you’re too self-conscious, which doesn’t help you or anybody. Plus, it hinders you from focusing and enjoying workout. Teach yourself to get past it and eventually get used to it. When you do, you’ll concentrate more on your workout than the people around you. Doing the same routine over and over results to boredom. Spice your workout regimen by mixing it up and trying other exercises. There are so many options. You just need to know them. If you’re not into running or lifting weights, try dancing or martial arts. There are several alternatives available, really, you don’t have an excuse. 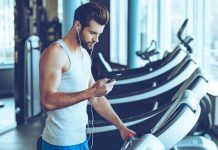 This shouldn’t be surprising, but music is helpful when it comes to giving you that extra boost of energy when working out. It improves your mood, too, so you’re more likely become friendly to the idea of getting all pumped up for the sake of health and fitness. Running with music is twice enjoyable than without it. It helps you keep going. If you’re one of those that rarely has time to exercise, you can still engage in brief workouts that can last for around 20-30 minutes. This is also ideal for those people that don’t have much stamina to exercise for an hour. Shorter exercises can even be more efficient than the longer ones as long as the intensity is greater and you concentrate better. 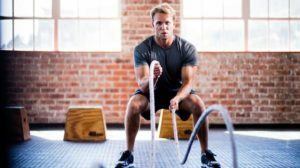 As a matter of fact, working out for 1-2 hours can result to the body going into a condition where more workouts can decrease physical enhancements. Exercising doe not just improve your body it also helps with your mind. A lot of people go to the gym even when it’s not their schedule solely for the purpose of blowing off steam. By now surely you’ve already heard that exercising also releases serotonin in the brain, which makes you feel better. If you’re used to using your gym time or workout time as means of releasing negative emotions, it will be so. You surely have time for exercise, it’s just a matter of making it one of your priorities. Besides, you don’t go around feeling guilty because you’ve spent some time working out. You actually feel good afterwards because you knew you spent your free time on something that’s for your fitness and health. You may be enjoying binge watching or playing video games for hours, but most of the time you don’t feel good about it, especially if you know yourself that you need to make lifestyle changes.